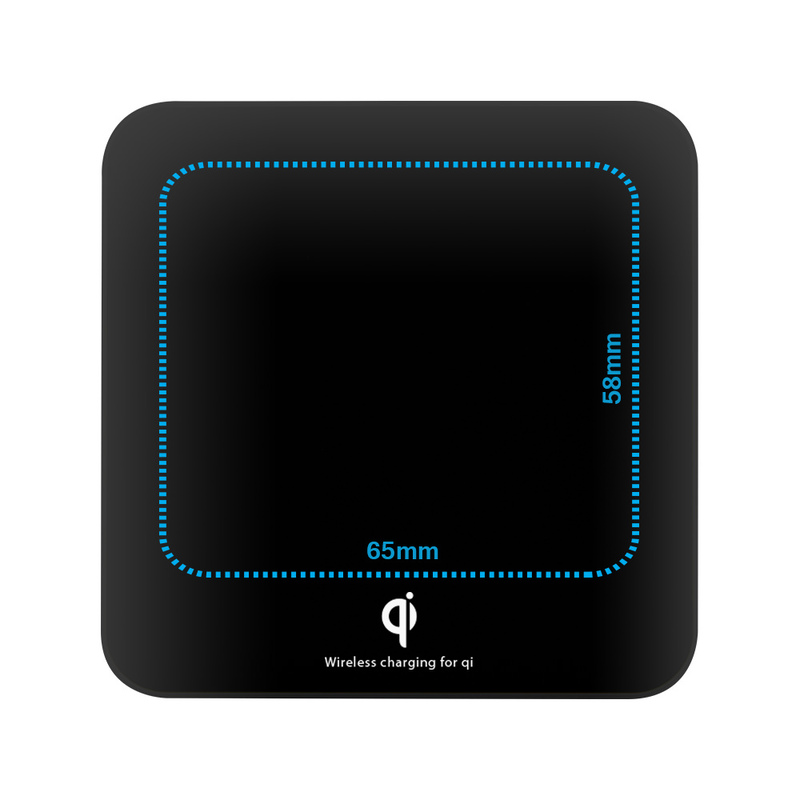 Give your sales a power boost with this QuikCharge wireless charger with USB C charging port. 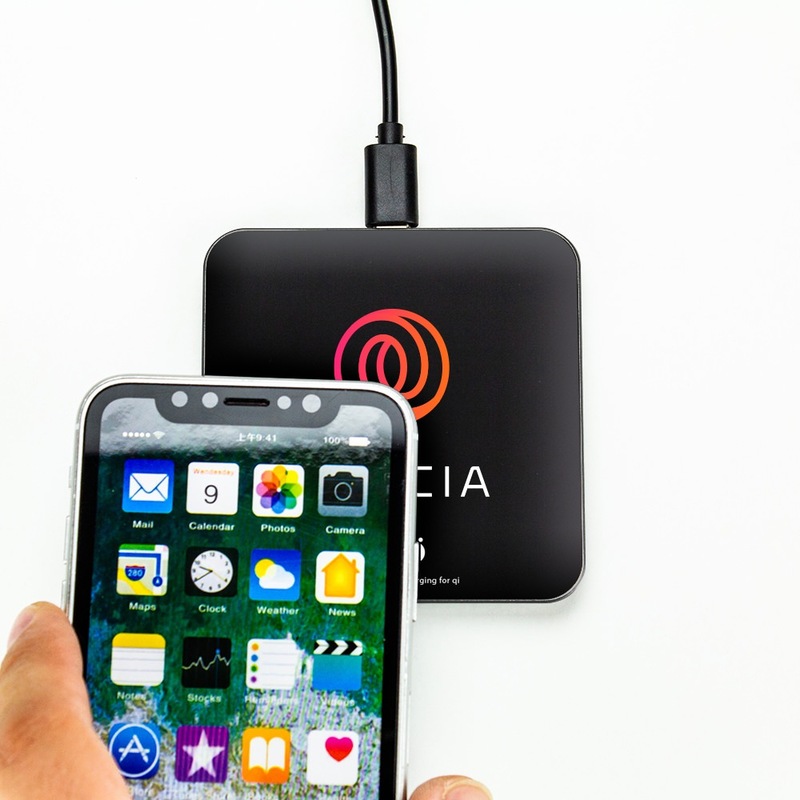 This sleek new Qi certified wireless phone charger offers both branding and recharging opportunities! 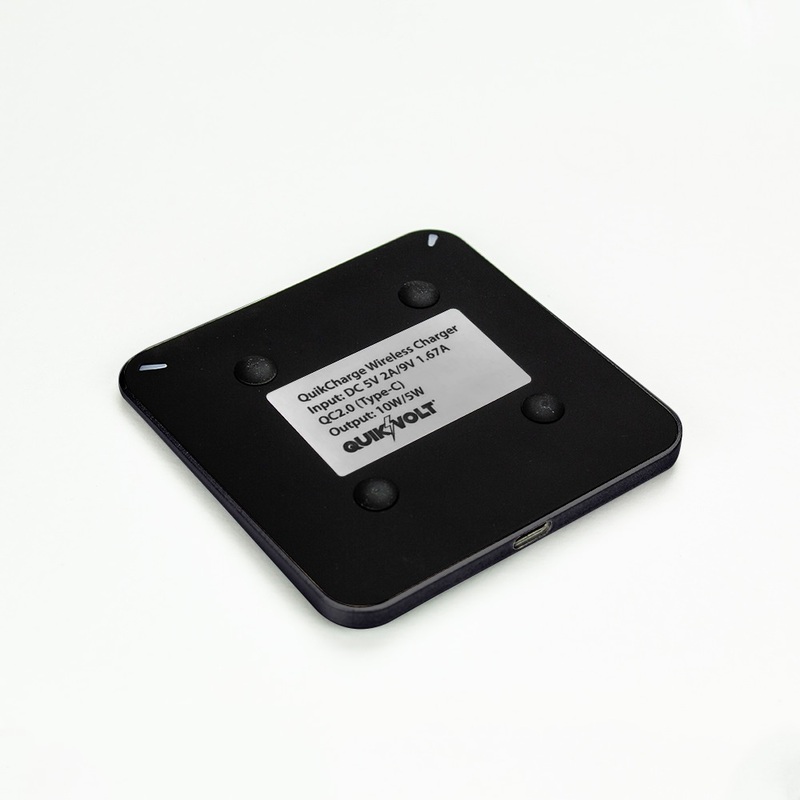 Custom print your company’s brand or logo right on the ample print surface of the charging plate. Clients will view your brand multiple times a day as they take off and put on their phones to power up. This QuikCharge works at 10 watts and is fast charge capable. The large print space is perfect for company brands and logos. 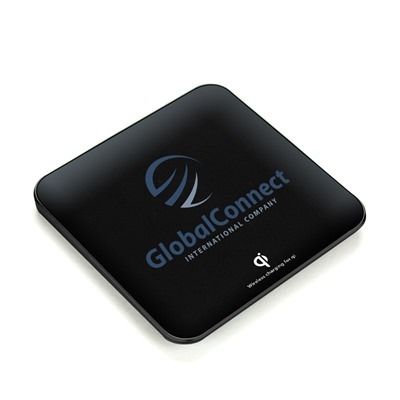 Users will have valuable face time with your printed logo each time they use the charging pad. 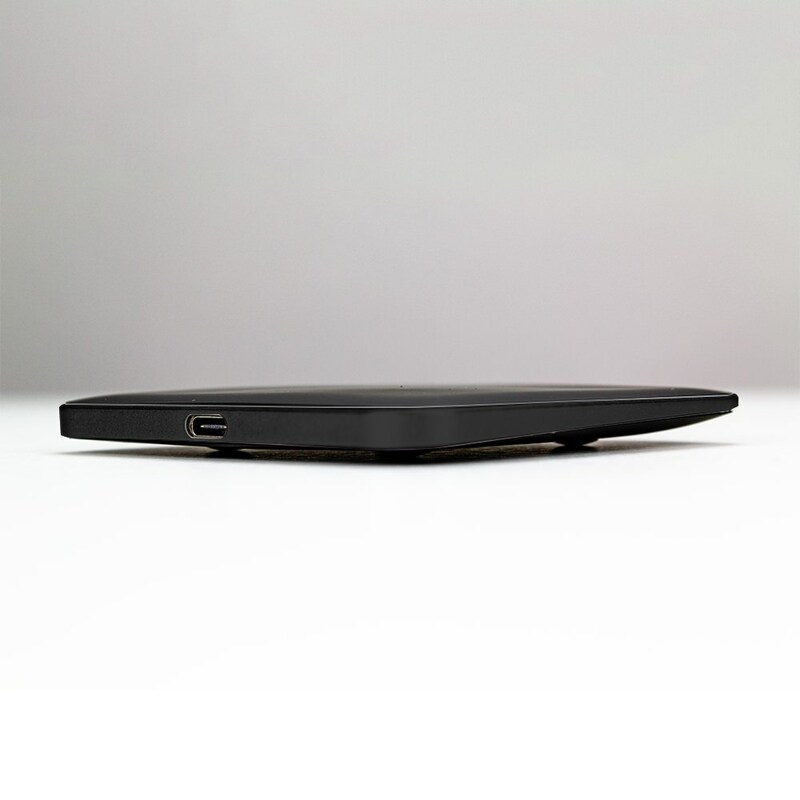 Slim, modern, and easy to use, the QuikCharge is an excellent functional wireless phone charger that doubles as advertising space. Your customers will love it. Compatible with Apple and Android devices. USB-C charging cable included!